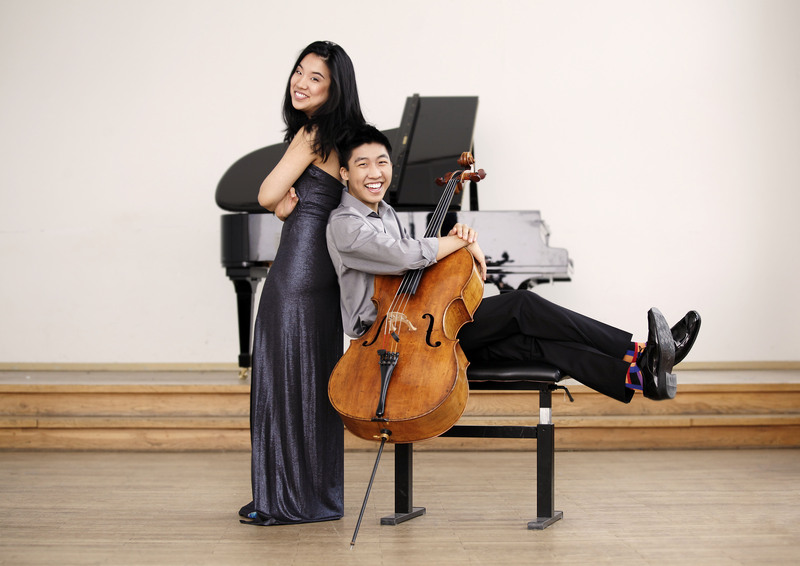 The obvious affection between the 19 and 26 year old siblings, Bryon Cheng – cello and Silvie Cheng – piano, extends deep under their virtuoso fireworks to bring inner life to each dynamic work in their varied repertoire. They were named by CBC Music as one of 2015’s “30 hot Canadian classical musicians under 30”. 19-year-old cellist Bryan Cheng, a guest soloist with numerous orchestras since his debut at age 10 in Montréal under the baton of Yuli Turovsky, is a 1st-prize winner of the 2016 National Arts Centre Bursary Competition, 1st-prize winner of the 2011 Canadian Music Competition, and 1st-prize winner at the Ontario Music Federation Association Competition in 2009-2011-2012. 26-year-old pianist Silvie Cheng is a recent graduate from the Manhattan School of Music in New York with a Master’s Degree in Piano Performance, and the recipient of the Roy M. Rubinstein Award for exceptional promise in piano performance. Cheng2 Duo’s wide-ranging repertoire for the cello and piano has brought them to present recitals and performances on three continents, in notable venues throughout North America, Europe and Asia (China and South Korea). They have performed at the Aspen Music Festival, Trasimeno Music Festival (Italy), Orford Music Festival, Ottawa Chamberfest, Festival of the Sound, CAMMAC Festival, and Festival Pontiac Enchanté, and they have been featured several times on CBC Radio Two, as well as on Vermont Public Radio. Click on the image/link below to view a short video of Cheng2 Duo. ← Review: Now For Something Completely Different!